If you're thinking about a preschool for your child, come to the Southern Marin Mothers' Club Preschool Fair on Tuesday, October 23 from 7–9 pm at the Mill Valley Recreation Center at 180 Camino Alto. It's a wonderful opportunity to learn about local preschools, meet their directors, and speak with the teachers all in one room! 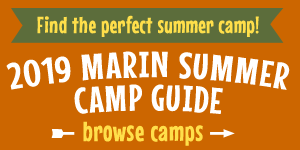 Preschools from all over Southern Marin County will be in attendance. Stroll from booth to booth to get a head start on your children's school choices. Tickets are free to SMMC members and $5 for non members; advance registration is required for all attendees. Register online here.